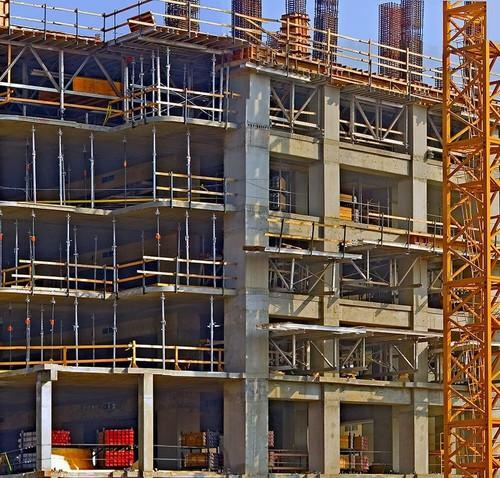 We are the highly dependable service providers of superior quality Building Construction Services. Our services are rendered by our adroit professionals with enormous experience and knowledge in their specific domain. These professionals ensure proper comprehension of client’s requirements in order to optimally satisfy them. Our services are applicable for constructing building in different sites and areas for commercial and residential purpose. Established in the year 2000, at Vadodara (Gujarat, India), we, “G. K. Engineering”, are the leading manufacturer, exporter and supplier of highly efficient range of Industrial Hoists, Hoist Crabs, Beam Cranes, Stacker Cranes, Goliath Cranes, Overhead HOT Cranes, Overhead EOT Cranes, Gantry Cranes, JIB Cranes, etc. The offered products are manufactured and designed with high precision using high grade components and cutting-edge technology as per the set industry standards. The components that we use to manufacture products are procured from the reliable and certified vendors of the market. Acknowledged for their longer working life, optimum performance, sturdy construction, high efficiency and low maintenance, the offered products are widely demanded in international market. In addition to this, clients avail the offered products from us in various specifications at affordable price range.